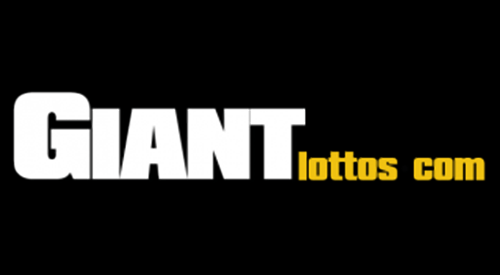 GiantLottos operates a proxy service that allows players around the world to participate in geographically-restricted lottery draws from which they'd otherwise be excluded. The company was founded in 2007 and has a built up dedicated player database of over 150,000 members, making it one of the most popular middleman firms on the web. Though GiantLottos refers to itself as a proxy, the company’s service is more commonly known by the label 'lottery concierge'. Unlike some other intermediary sites, GiantLottos doesn't actually sell or resell lottery tickets. Rather, the outfit buys and holds lottery tickets on behalf of players, then distributes winnings to punters whose proxy lines would have won had they purchased in person. Individual Play | This option allows gamblers to bet on single games such as the UK’s National Lottery, Lotto 6aus49, SuperEnaLotto, EuroMillions, EuroJackpot, Powerball, Mega Millions and Mega-Sena. Group Play | GiantLottos’ Group Play option is for punters who want to join a syndicate to reduce participation costs and maximise their chances of striking gold. Players can join pools for all of the eight lotteries on offer, but can’t syndicate buy for each draw individually: EuroJackpot and Mega Millions can only be entered as part of Double Euro and MegaPower options that also include EuroMillions and Powerball lines. Bundle Play | The last category on offer allows players to enter more than two lottery games at once. The biggest of these bundles is the All Draw Bonanza, which grants simultaneous entry into every lottery available on the site. The 'Giant 4 Favourites' bundle includes a ticket for EuroMillions, EuroJackpot, Powerball and Mega Millions. There are also two regional bungles on offer. The 'USA Powerplay' package is for those who wish to play North American games only, while the 'Euro Millionaires' package gives punters a chance on both EuroMillions and EuroJackpot in addition to the German Lotto or LOTTO 6 AUS 49 and Italy's SuperEnalotto. GiantLottos understands promotions are what drive new player acquisition, so despite a stigma of lottery products not having promotions, GiantLottos takes a note from the successful online casino industry and offers a 100% Welcome Bonus structured similar to that of Welcome Bonuses found at leading online casinos. Lucky players who buy winning proxy tickets online will have winnings credited directly to their registered account, but it’s worth noting that GiantLottos charges a 5% agent fee on all prizes over £1000. Not all lotteries are subject to the same tax rules, so certain jackpot wins (Mega Millions, Powerball) will be taxed while others won't (EuroMillions, the UK’s National Lottery). Some of the draws on offer pay out via annuities rather than lump sums, so it’s important for players to take note of individual lotteries’ terms before taking part. Cash kept in punters’ online GiantLottos wallets can be withdrawn to personal bank accounts by sending an e-mail to the outfit’s accounts team. Funds are usually paid into designated accounts within five working days, but this process can’t get going until operators have verified players’ ID. In the event that a punter scoops the jackpot or wins a tier two or three prize, GiantLottos appoints a legal representative to oversee payment and guarantee proper receipt of payment. This practice reflects the firm’s sound attitude to transparency and reliability – GiantLottos has never reneged on a valid payment agreement. Purchasing an individual ticket on GiantLottos usually costs punters roughly the same amount as it would cost to buy a physical ticket. However, players can save cash by going for a bulk entry option: entering five draws is rewarded with 5% discount, while opting for 10 secures a 10% price reduction. Discounts are also on offer for punters who sign up to a continuous subscription service: bulk subscribers save up to 30% on all purchases, while monthly users save a tidy 10%. GiantLottos prices are very reasonable in comparison to other lottery agents. At the time of writing, players can use GiantLottos to make three picks on EuroMillions for nearly half the price offered on competitors' sites. Though GiantLottos can certainly function as a one-stop-shop for busy punters, it’s best to look around and take advantage of the various temporary discounts and promotions offered by all three of the aforementioned providers.